To investigate the relationship between the iron content by magnetic resonance imaging (MRI) and clinic correlation in patients with relapse-remitting multiple sclerosis (RRMS) over a two-year period. Thirty RRMS patients and 30 healthy control subjects were examined twice, two years apart, by undergoing brain conventional MRI and three-dimensional (3D)-enhanced T2*-weighted angiography (ESWAN) sequences at 3.0 T. Quantitative differences in iron content in deep gray matter (GM) nuclei and precentral gyrus GM between patients and control subjects with repeated-measures the mean phase values (MPVs) for ESWAN-ﬁltered phase images. Spearman's rank correlation coefficient analysis was used to evaluate correlations of the MPVs, both 2-year-difference and single-time measurements, to disease duration, expanded disability status scale (EDSS) and times of recurrence. The RRMS patients had higher GM iron concentration than that of the healthy control subjects in both single-time measurements, but only the substantia nigra (SN), and the precentral gyrus GM (PGM) showed a significant statistical difference (p < 0.05). Using the paired samples t test, we found that there were significant differences in two-year-difference measurements of the MPVs in the putamen (PUT), the globus pallidus (GP), the head of the caudate nucleus (HCN), the thalamus (THA), SN, the red nucleus (RN), the dentate nucleus (DN) and PGM, especially in SN (t = 2.92, p = 0.007) in RRMS patients. The MPVs of the PUT, GP, HCN, THA, SN, RN, DN and PGM for the subgroup with RRMS patients in times of recurrence less than twice were similar to the healthy controls. There was no significant difference in all regions of interests (ROIs). However, there were significant differences in all ROIs except THA and GP for the other subgroup with RRMS patients in times of recurrence more than and equal to twice. Spearman's rank correlation coefficient analysis showed there were significant negative correlations between disease duration and the MPVs in the HCN (r = −0.516, p = 0.004), DN (r = −0.468, p = 0.009) and PGM (r = −0.84, p = 0). However, no correlations were found between the EDSS scores and the MPVs. 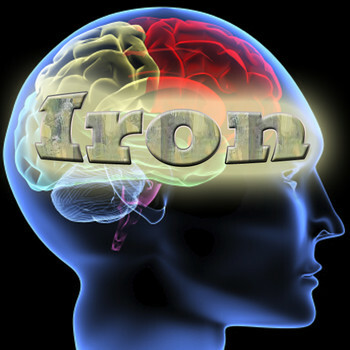 Iron content in the GM can be measurable using MRI and our results conﬁrmed that iron concentration was increasing in the GM of MS patients during two-year period compared to healthy controls. Furthermore, this study had also shown significant and substantial correlation of iron concentration with disease severity.